It's the last month for Spring Training in Dilworth Park, presented by Rothman Institute! On Tuesdays, Wednesdays and Thursdays, through May 25, join in on a variety of sports and fitness programs, conducted by experts in the field of personal fitness from Optimal Sport Health Clubs. Yoga, Zumba, fitness boot camp, running- it's all here to get you informed and in shape for spring and summer. 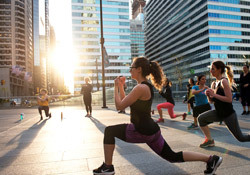 Plus, all season long, you can fuel up with healthy offerings from the Dilworth Park Café. 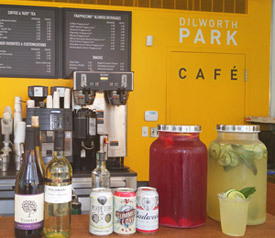 NEW BAR SERVICE is now being offered at Dilworth Park Café and Air Grille, 7 days a week! Children's Discovery Garden and Boat Pond (Opening April 28), 10am-6pm, seven days a week. This new festival brings together cultural partners and visiting authors for a weekend of book-based fun in Sister Cities Park! Families can enjoy story readings by special guest readers and local authors every 30 minutes, along with musical entertainment, make-and-take crafts, face painting, and balloon art. Children can also meet local heroes and tour a real-life Philadelphia fire truck on Sunday. Throughout the event, grab lunch or snacks at the Logan Square Café. The Free Library of Philadelphia will be on-site with the Book Bike to help attendees sign up for library cards. Philadelphia Parks and Recreation will have nature-themed crafts. Fleisher Art Memorial will bring Color Wheels to the park for children to make a craft to take home on May 7. You're also encouraged to bring gently used books to add to the new Library in the Park Book Cart that will be unveiled as part of the festivities. 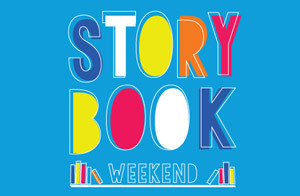 The Library in the Park Book Cart and Storybook Weekend are presented by TD Bank in partnership with The Free Library of Philadelphia. Get a complete schedule and details at SisterCitiesPark.org.